I’ve been working on an exchange migration recently, and was at the point that I needed to replicate the public folders to the new 2010 server from 2007. This particular Exchange Server had only a few public folders, so I went the manual route. 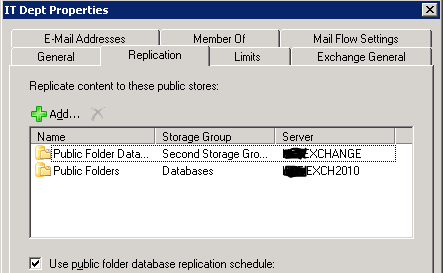 On the Exchange 2007 Server, I opened up Public Folder Management Console from the toolbox, and right clicked on each folder, chose properties, and edited the replication tab entry. occurred: The Active Directory user wasn't found.. This is because of some leftovers from the Exchange 2003 to 2007 migration. Where do we need to go to fix it? Out favorite tool: ADSIEDIT. 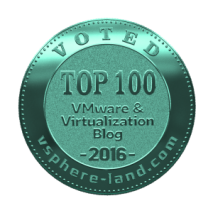 *Note* – This only applies if you no longer have any Exchange 2003 Servers in your organization. First, lets open up adsiedit.msc from the run dialog box. 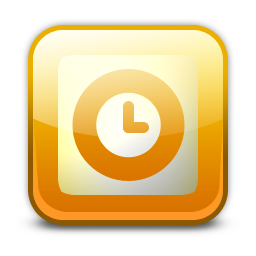 Once inside, click Actions, and “connect to”. Under Connection Point, choose “configuration” from the drop-down list. 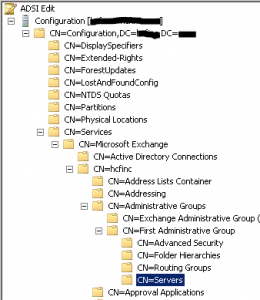 Then, Navigate to CN=Configuration <domain-name>, CN=Services, CN=Microsoft Exchange, CN=<Org-name>, CN=Administrative Groups, CN=<legacy-administrative-group>, CN=Servers. The container “CN=Servers” should be empty. If it is not, DO NOT PROCEED! If you have any Exchange 2003 server, DO NOT PROCEED! 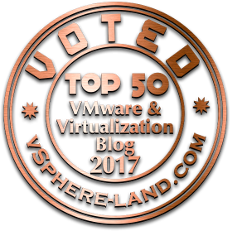 Only continue to the last step if the container is empty, and you are certain you no longer have any exchange 2003 servers in your organization. Finally, delete the empty “CN=Server” container. 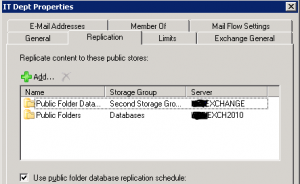 Your public folders will now replicate between your 2007 and 2010 Exchange server.